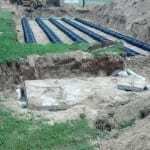 We offer a variety of septic services in Orlando, FL, such as septic pumping, septic installation, drain field inspections, drain field repair and much more! Septic Services in Orlando – Owning and maintaining a properly functioning septic system doesn’t have to be difficult or expensive! With the proper maintenance and routine services, your system can be affordable and effective for years to come. Here at Clark Septic in Orlando, Florida, we offer a variety of septic services, such as septic pumping, septic installation, drain field inspections, drain field repair, and much more! If you aren’t sure whether we offer a particular service, please don’t hesitate to ask. Each of the different septic services we provide is complemented by affordable rates and a strong commitment to your overall satisfaction. 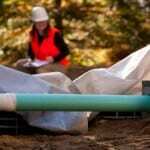 At Clark Septic, our main goal is simple. We want to help you maintain your septic system in a way that is cost-effective and ultimately benefits your specific needs. When we come to your home, we will do everything in our power to make sure that you’re happy with our work. Chronic Slow Drains. 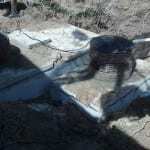 If you have employed drain clearing tactics more often than normal and found the problem to reoccur or never get completely resolved, this is likely a sign you need septic services. This symptom can mean a drain field issue or a tank problem, among other things. Spongy or Lush Landscaping. Lush grass is a good thing, right? Well, not necessarily. 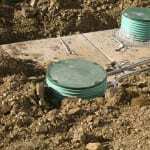 If you find the area near your home’s septic tank and/or drain field is a significantly lusher than usual or the ground is spongy, or worse there is standing water, something is wrong and you need septic services. Odd Odors Inside or Outdoors. Odors aren’t just unpleasant – they are a sign of a problem that will only get worse without attention and resolution. 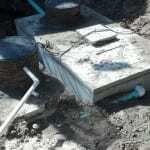 Call us for septic services to diagnose the issue as soon as possible. Buying a New Home. A standard home inspection does not include a thorough septic system inspection – protect yourself by calling us before you sign the closing documents. Home Improvement. If you are adding onto your home, especially another bathroom or bedroom, you need to know that your septic system can handle the extra load. Our dedication to excellent customer service isn’t the only reason why you should take advantage of our septic services. We also use products made in the U.S.A., are a member of the Better Business Bureau, and have been in business since 2002. 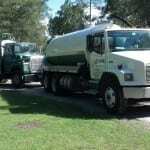 We offer swift service calls throughout Central Florida. We also offer 24-hour service in order to best meet your needs. 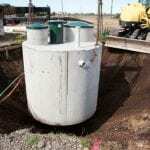 When you are looking for an environmentally friendly, honest septic company, contact us for an appointment. We’re confident that you won’t regret your decision to turn all of your septic repair, installation, and maintenance needs over to us.